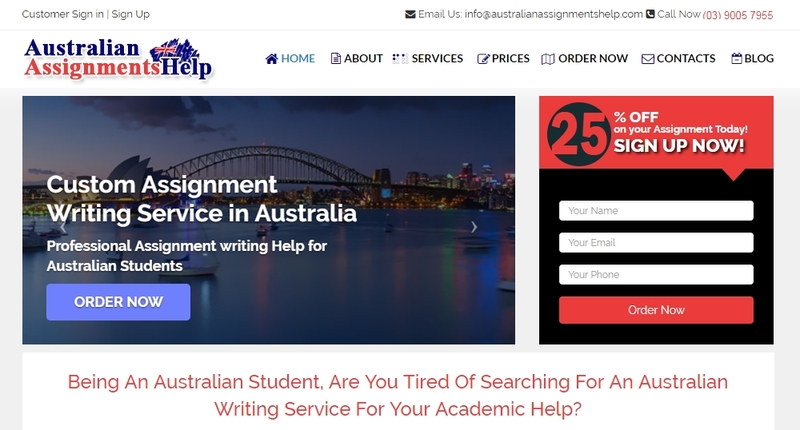 AustralianAssignmentsHelp.com is a writing service that has a reasonably large staff of administrators. It is unclear if their writers work from home or if they work in house. They may use freelancers, but we didn’t find any evidence that they rely on freelancers to complete their projects. The company is relatively new and is picking up a poor online reputation. Will they continue down their dark path and burn all their credibility, or were their early mistakes simply teething problems that they are going to work on to become a legitimate company? Only time will tell. There is a pricing tool on the prices page and it shows you what you are going to have to pay in real-time (without having to wait for an emailed quote). If you pick their essay service, then their prices range from between $18.19 to $37.77, which are not bad prices. However, you need to be careful if you are ordering higher-level stuff from them because their writers are only able to complete High School, college (6th form) and freshmen university content. Their prices were not made with higher level assignments in mind; this is especially true for their dissertation service because they will take on any dissertation project you hand to them, but they are barely producing passable dissertations for freshmen in university. The company claims they have freebies that they call “Freebiz,” but there is no link to their free services. We do know that they write your bibliography without charging, but that is standard practice in the essay writing company world. They have an offer where you refer a friend and they claim you will get $25 for doing so. They also claim that the person you refer will get $25 too, but it is not true. What you and your friend get are “referral points,” which can only be redeemed as discounts off your AustralianAssignmentsHelp.com orders. You do not actually receive $25; they just give you points that can add up to a $25 discount. Make contact via email with a long question, and you will get an answer within 1-2 days if the question is not too tricky. You can call the number they give, but we were held on hold for so long that we didn’t bother trying to get any answers. The live chat function puts you in touch with their automated FAQ that they try to pass off as their live customer support. If we could recommend that you do not use this company because of their stupid live chat pop-up, then we would because it is very loud and very annoying. Most students will have their headphones on as they search the Internet at night, and the last thing they want is to hear that loud noise burst out of nowhere and resonate through their brain like a sledgehammer hitting an oil drum.